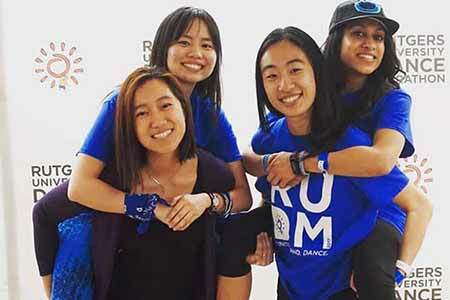 Rutgers Rho Chi will be participating in Dance Marathon this year on April 6-7, 2018! Dance Marathon is a student run and year-long philanthropy project directly benefiting Embrace Kids Foundation. Over 1,500 students dedicate countless hours raising money, organizing projects, and volunteering at events that then culminate in a spectacular 27 hour dance marathon. All donations go to Embrace Kids Foundation, which assists families of children afflicted with cancer, sickle cell, and other serious health challenges.